Size matters! 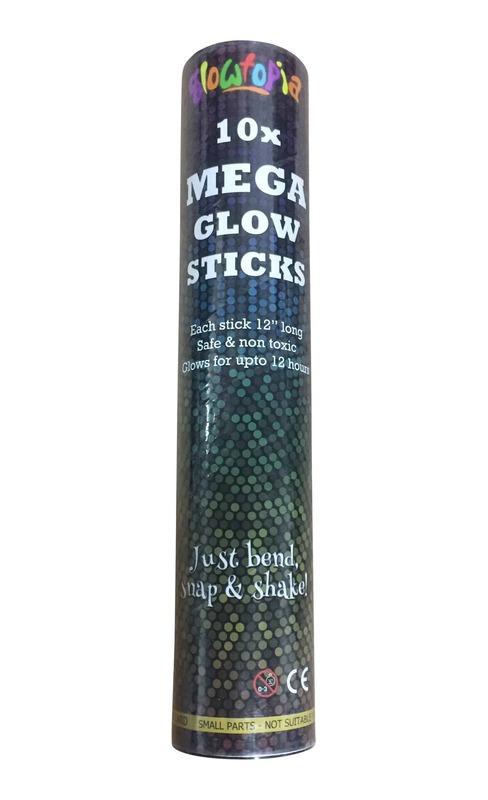 Our twelve inch mega glow sticks supplied in mixed colour tubes of 10 are a sure crowdpleaser. NEW! 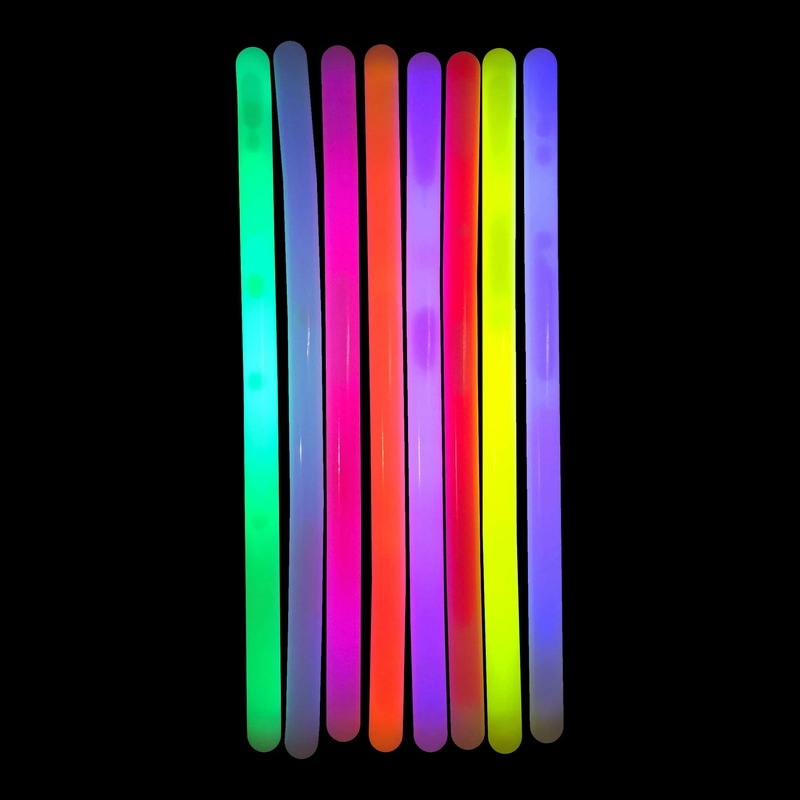 Now available in single colour tubes. 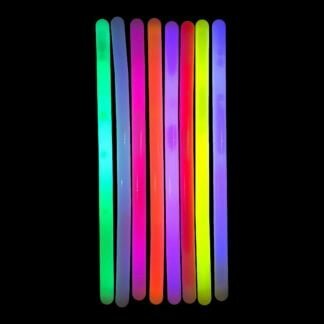 When you truly want to stand out, our supersized mega glow sticks are the ones to get you noticed. These massive sticks are packed full of glow power and this makes them glow extremely bright for an incredibly long duration, between 12-24 hours. 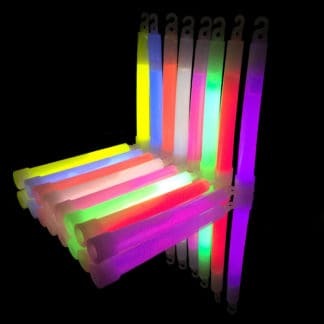 This makes them great fun for parties, concerts and camping trips alongside many other uses! 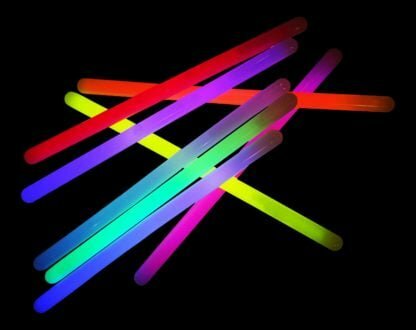 Sold in a mixed tubes of fun colours (blue, green, pink, yellow, orange, white, red and purple) these monster glowsticks are a must buy! 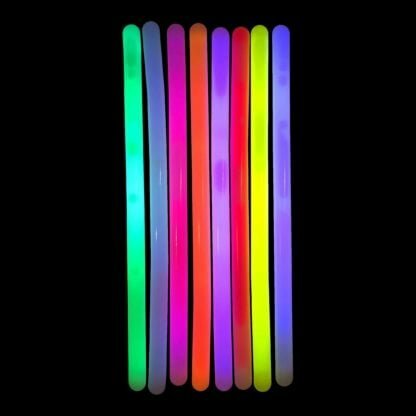 They’re easy to activate, simply remove the contents from the package, bend and snap them along their entire length and then shake them to start the glow! 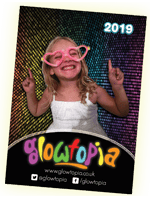 You will have hours of fun as the product lasts 12-24 hours once activated. Our mega glow sticks are supplied in tubes of 10 in mixed colours. Do not repeatedly bend, puncture or cut plastic tube. 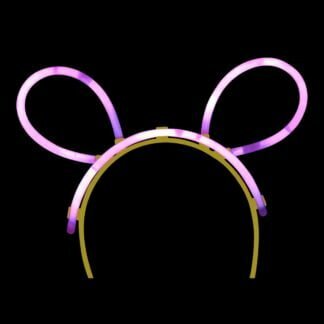 Not suitable for children under three years. Conforms to ASTM F963, EN71 (1,2,3,6) and carry the CE mark. Keep product in original tube until ready to use. Ingredients are non-flammable and non-toxic but may permanently stain clothing or furniture. 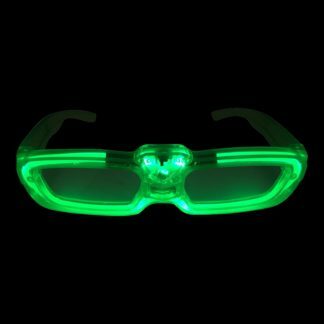 Contact with skin or eyes may cause temporary discomfort. In case of skin or eye contact, rinse thoroughly with water. Do not drink or ingest contents. 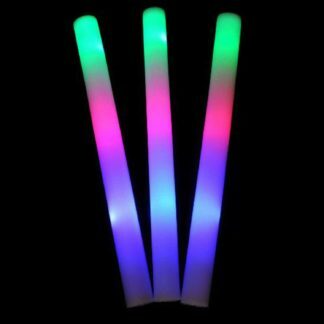 Do not leave glow sticks in direct sunlight or expose to high temperatures. After use, dispose of in refuse container. Wow great for what u pay. Great size, nice to hold while dancing. 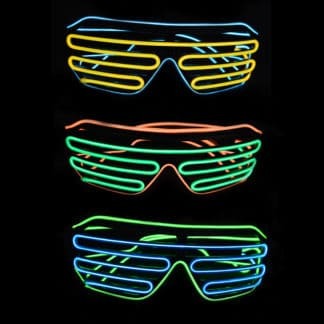 They last for ages also so you don’t need to worry about them ending halfway through the night.